Dr. Rosalind Werner has worked very hard to become a respected biochemist in 1908. Not many people know she's female, however, as she prefers to go by her initials and keep out of the public eye. It's too easy for people to doubt her because of her gender, and also to cast aspersions on her character as a woman working in a male-dominated field. Rosalind lost her parents to typhoid when she was a child, which has driven her to specialize in finding a way to eradicate germs from drinking water. Returning from his supporting role in A Dangerous Legacy, Nick Drake has a passion for getting clean and abundant water to every resident of New York City. He's seeking to further his political career with this in mind. Nick is skeptical that treating water with chlorine will make it safe, and although he is open to the idea, he feels there must be more research done before he makes any moves to implement this for the city's water supply. He agrees to meet with Dr. R.L. Werner to discuss the matter, and promptly falls in love at first sight with the lovely, opinionated, and brainy Rosalind. For her part, Rosalind can't deny that there's an almost immediate attraction between them. She loves that Nick has a heart for the welfare of regular people and that he can work with his hands. She also feels that he is rash and sometimes loses control of his temper, though he's quick to apologize when he gets out of line. When Rosalind's coworker forces her hand on the chlorine issue, she isn't sure Nick will ever trust her again. I love the obscure history that this series focuses on. I can't say that water filtration is something many people read about, but the toe-curling romance in this novel draws readers in and makes them pay attention. Camden's writing shines and also brilliantly sets up Book 3, which releases next February. Consider me already in line to read it! Is there such a thing as a book lover who doesn't like libraries? I think not! 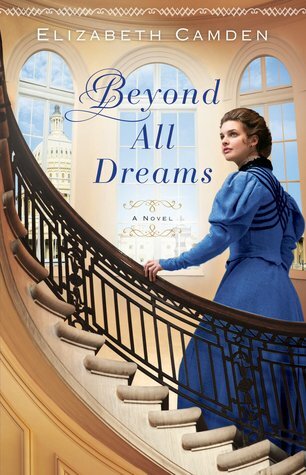 Elizabeth Camden has set her latest novel within the halls of the Library of Congress, one of the most famous libraries in the world. Set in 1897, when the Library moved out of the Capitol Building and into a home of its own, Camden has brought us a story rich with history and intrigue. Anna O'Brien is one of the few female librarians employed at the Library of Congress, and while her life may look boring from the outside, she's proud of the position she has attained. Gifted with a passion for knowledge and exactness by her cartographer father, Anna is also determined to set the naval record straight about what happened when her father's ship went down. She has a little evidence and a lot of gut feeling that the official Navy report is faulty, but she isn't prepared for the amount of grief the military sends her way when she questions them. Congressman Luke Callahan escaped a tumultuous upbringing to earn a berth in Washington, DC, and while he struggles with a quick temper, he's known for a charm that usually gets him exactly what he wants. When he meets Anna and finds in her someone who will stand up to him and see through his facade, he sees her true value and quickly falls in love with her. Anna isn't interested in a serious relationship because she knows marriage would require her to resign from her job, and she has too much to prove to explore her own feelings. When Luke joins Anna's quest to find out what happened to her father's ship, he finds out information that must be kept from Anna at all costs. As world events hurtle towards the Spanish-American War, Luke makes a stand for peaceful negotiations which may cost him everything. Meanwhile Anna feels more lost and confused as she fights to find out what happened to her father and also come to terms with where her own life choices are taking her. 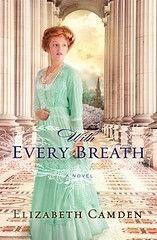 One thing that I really enjoyed about this novel was the characterization of Luke and Anna. The author really explored the issues of both of their pasts and how it influenced the adults they became. This added a nice depth and nuance to the story. The historical aspect was also extremely well done and I could hardly wait to finish the book so I could read the author's note at the end and find out how much of the story was based on actual events. That, in my mind, is the mark of excellent historical fiction. 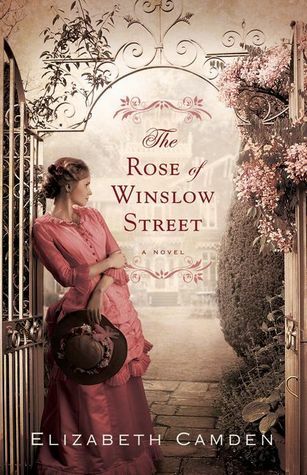 This was my favorite of the three Elizabeth Camden novels that I have read. I'd like to thank LitFuse Publicity for providing me a copy of the book in exchange for this honest review. All opinions are my own.